Jeff Larson serves as America Rising’s Chairman, a position he undertook in July 2017 on the heels of thirty years of experience in American politics and business. 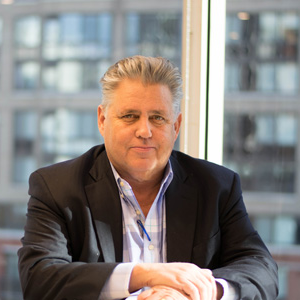 Jeff has worked on numerous political campaigns, including George W. Bush’s 2000 and 2004 presidential bids, both as a campaign staffer and through his telemarketing and consulting firm, FLS Connect. More recently, Jeff served as CEO for the 2016 Republican National Convention, and as CEO for the Roosevelt Group, a political and public affairs company. Jeff is currently a member of the Board of Directors for Majority Strategies and the American Action Network. Jeff resides in Minnesota and Washington, D.C. and is an active alumnus of his alma mater the University of North Dakota.